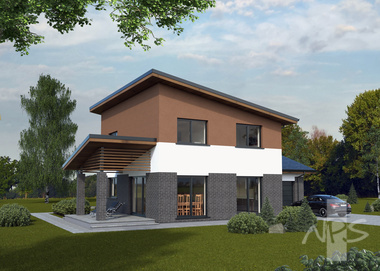 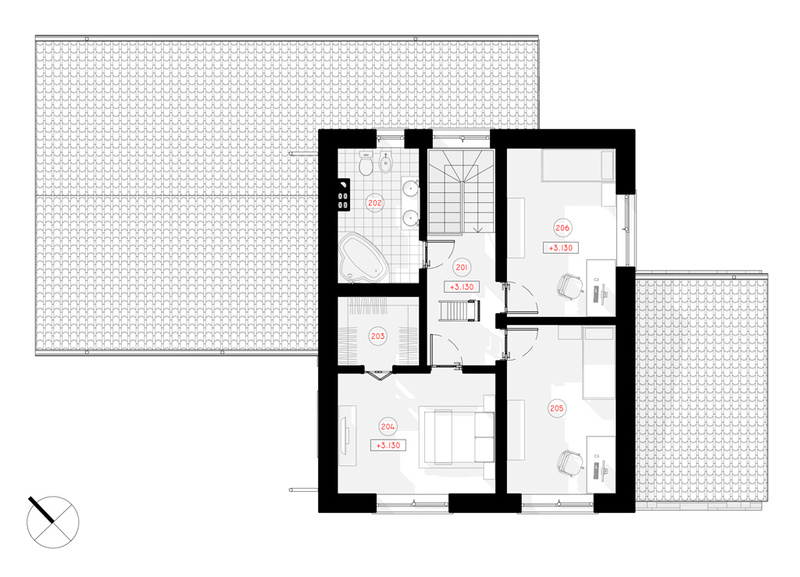 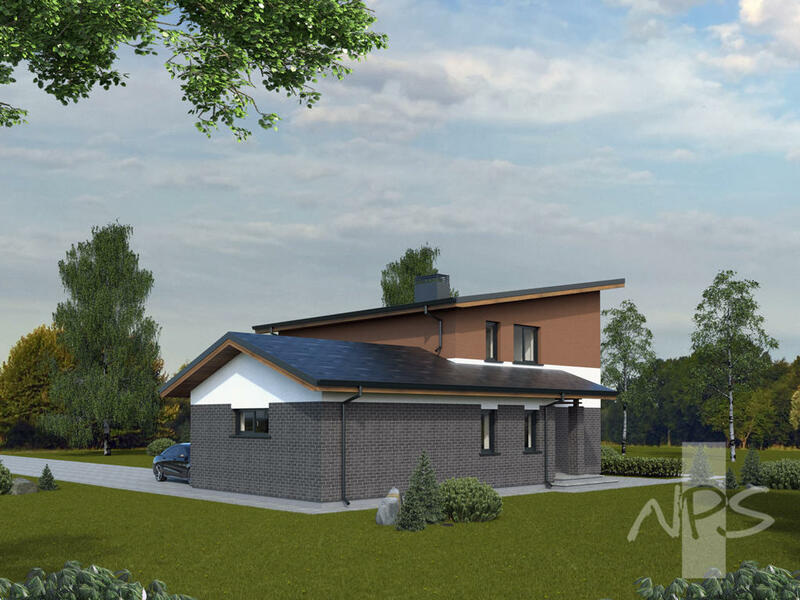 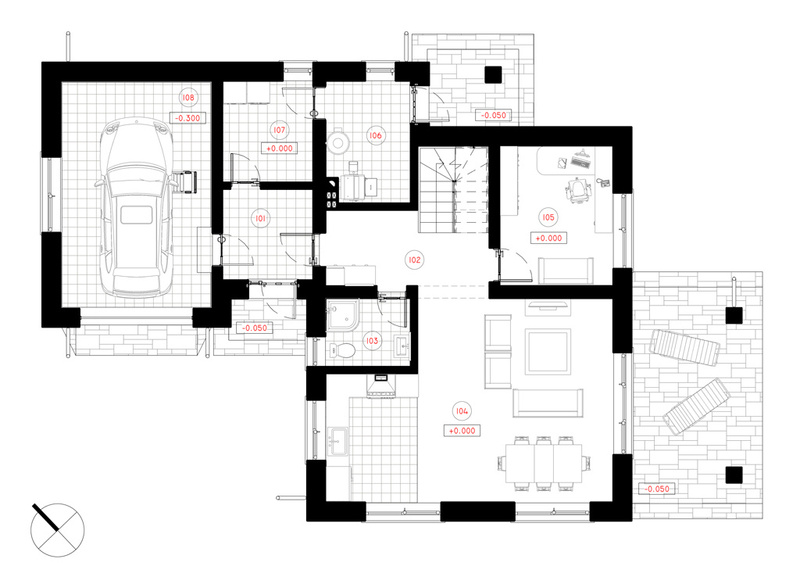 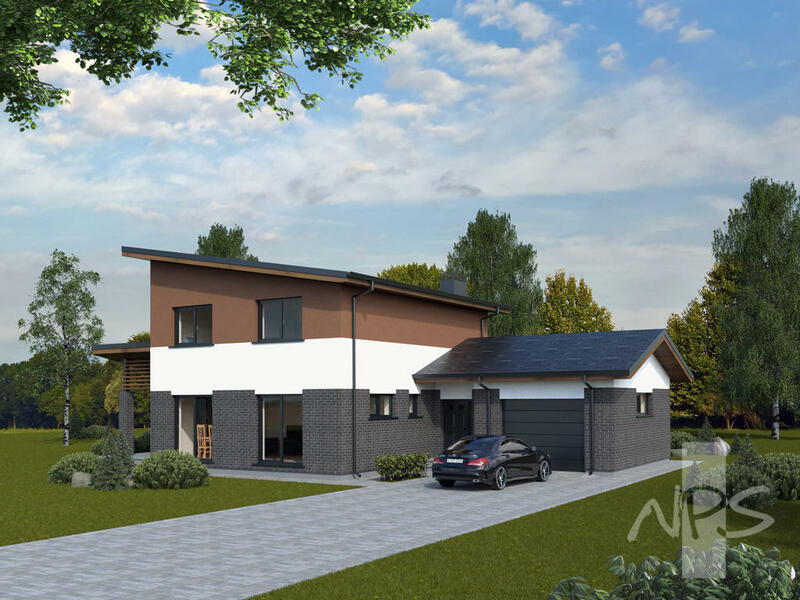 The modern, two-storey house "Liucija" is suitable for a family of 4-5 people. 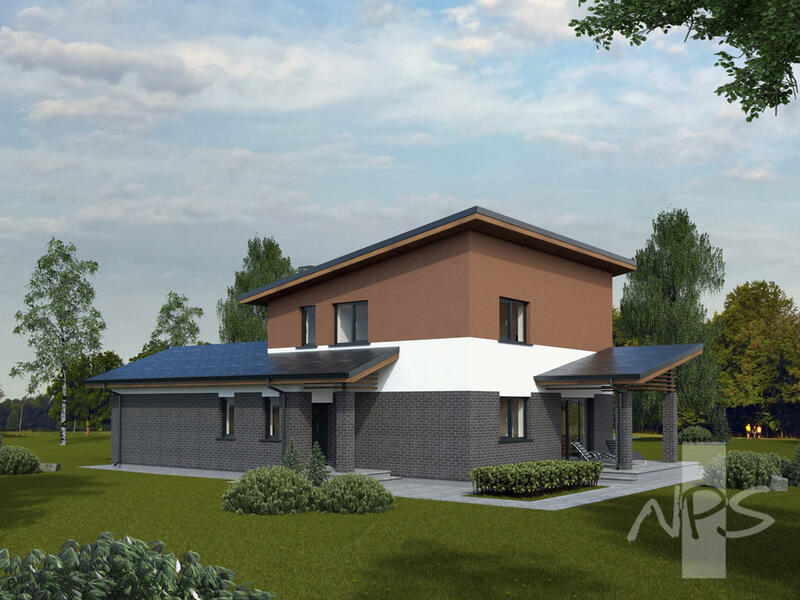 Exceptional planning, three-zone (residential, auxiliary and recreational) project is aimed for those seeking for an energy efficient, modern design, A + energy efficiency class project. 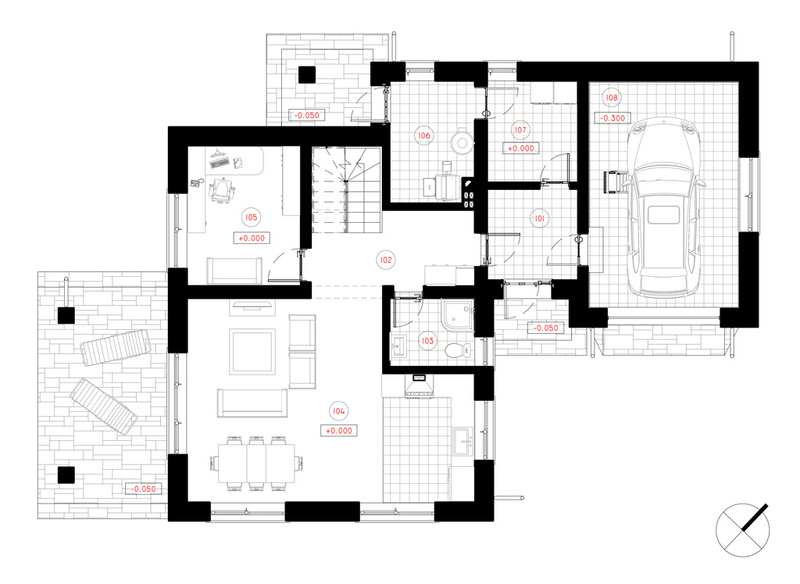 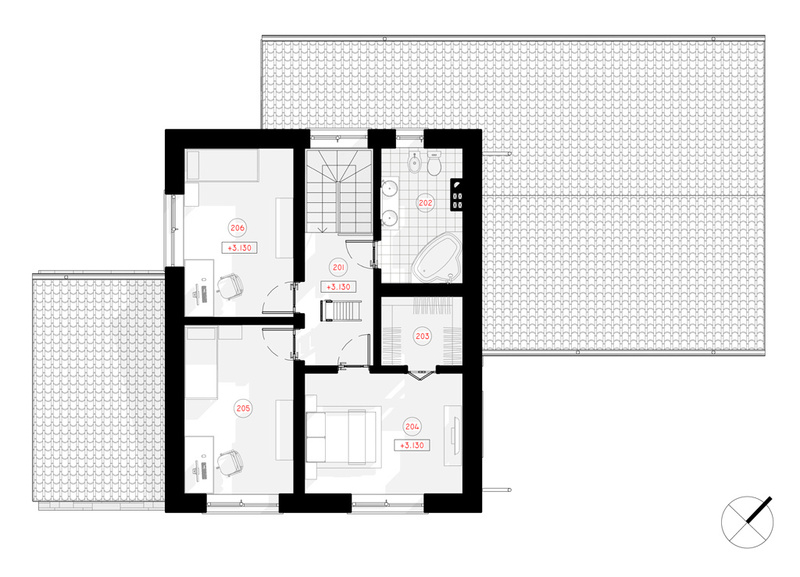 The total area of the house is 164.16 m2.